This book contains 139 legends and tales from Prague, a city so full of stories I would not recommend visiting it without a similar guide. Every street, every square, every bridge, district, and building has its own legend; one can stand and look at them while listening to (or reading) the stories. Believe me, it's great fun, I have done it myself. 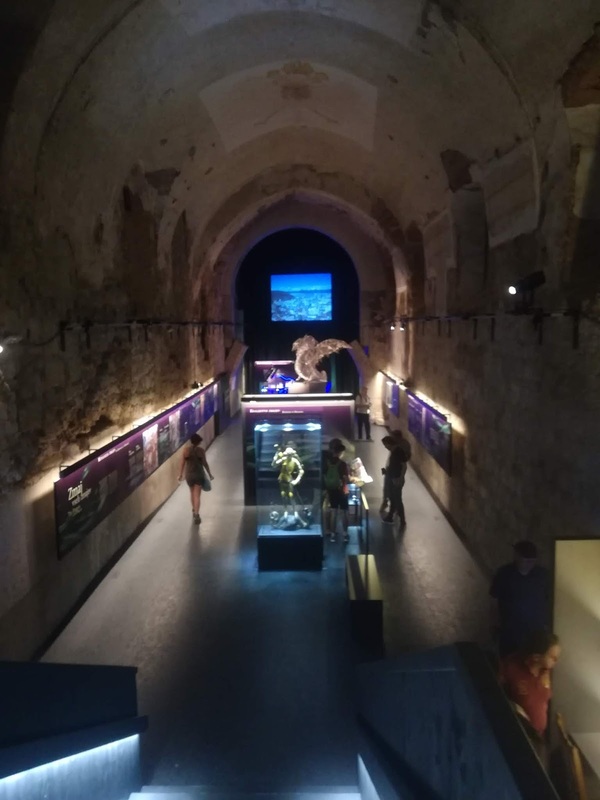 In addition, now you can visit the Museum of Ghosts and Legends, and see an exhibit based on the most famous stories of the city! Cibula has done excellent work collecting, researching, and retelling the stories, organized by district. While his original collection doesn't seem to be available in English, other editions have used it as a resource. Try to find this book, or this one, and take them with you when you visit Prague! 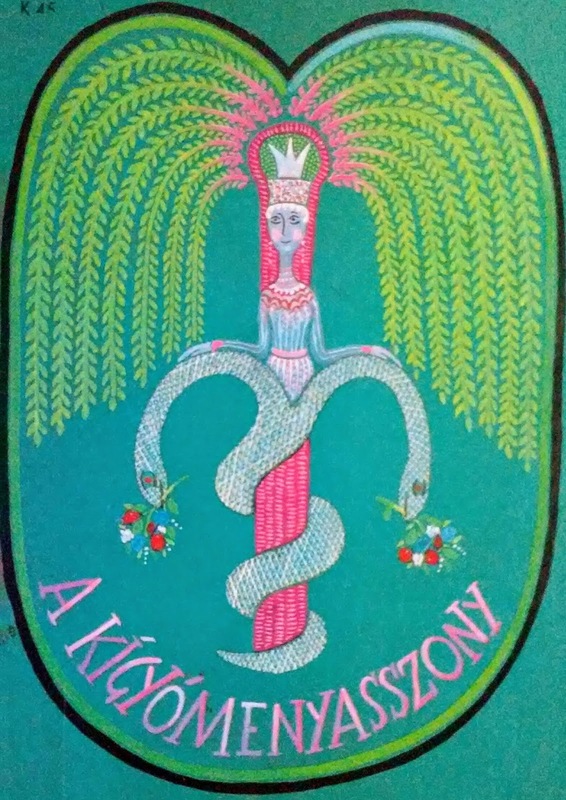 The book opens with the life, rule, and prophecies of Libuše, the legendary first queen of the Czech nation - including the one when her subjects demanded a male ruler, and she told them they would regret the decision, because a man's rul would be cruel and bloody (but ended up selecting her own husband, Premysl, anyway). After her death the Women's War broke out; her court ladies built a castle and recruited women and girls, waging a war on the men of the kingdom, until they were outnumbered and slaughtered (according to legend, anyway). 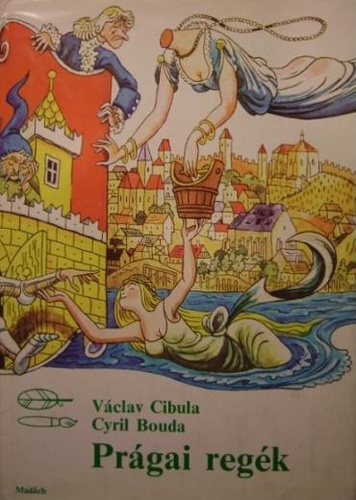 A brave woman also featured into the story of The king and the bath girl; a maid name Zuzana rescued King Wenceslaus from captivity, and rowed him across the Vltava River. Another female hero, a Clever princess, designed and built a machine that was capable of lifting the giant bells of the Saint Vitus cathedral. Allegedly, the ropes were made of the court ladies' hair, but we'll never know: The princess destroyed her invention after using it. 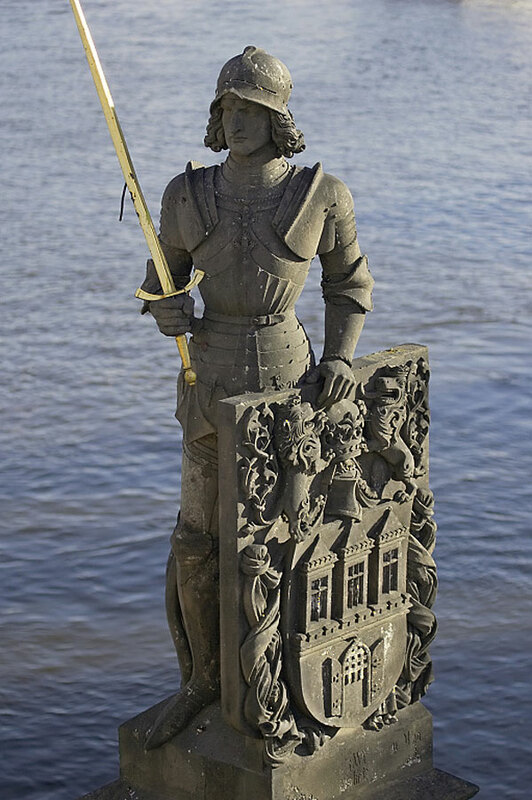 Another classic Czech tale is that of the knight Bruncvik, whose statue you can see by Charles Bridge on the left side of the river. It has everything a great fairy tale needs: Sea voyages, magnetic mountains, giant birds, monster-princesses, loyal lions, magic swords... the works. Prage and its surroundings have many stories involving water sprites - a creature of folk belief that is very essentially Czech. My favorite was the story about a sprite whose lake was destroyed by an ox cart, and it followed the driver (with a water lily on his hat) all the way to Prague to drown him in revenge. The sprite befriended a mortal man on the way to the city, and told him the story. I also loved the tale of The bride from Gold Street, in which a Jewish girl named Hanina fell in love with a water sprite, and ran away with him despite her father's wishes. Later a midwife got to visit her in her underwater home, and help her give birth to her water-children. Another tale also featured children, but it a different light: A woman whose child had been drowned by the sprite cursed the water-children to get stuck on land and dry out. Eventually, a wise woman persuaded her not to punish children for their father's crime, and she let go of the curse, along with her own child's little shirt. 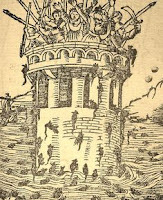 Water sprites were not the only inhabitants of the river: There were also tales about mermaids, and even the old god Perun, who still drags people under around Charles Bridge. Another popular topic of legends was art. 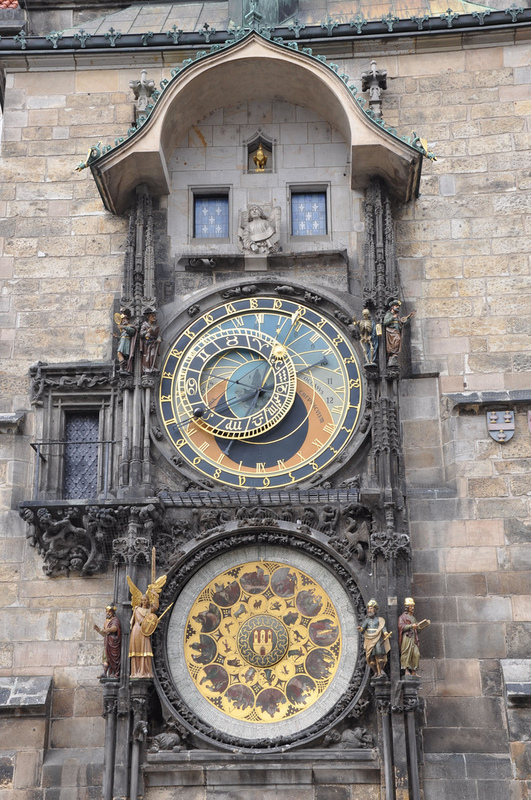 It is a well known story that the council of Prague ordered the creator of the Orloj, the famous astronomical clock, to be blinded, so that he could never make another one. A woodcarver, on the other hand, murdered a beggar himself to use him as model for the face of the dying Christ for a Crusader church. The curious Jesuit got a funnier fate: Since he spied on the artist who was painting the ceiling of Saint Nicholas', the painter put him in the picture, peeping from behind a column. Like many other cities, Prague is also brimming with ghosts (maybe even more than others). There is the Burning man of Charles Street (who used to be a money-lender, and saved his money rather than his neighbors from a housefire), the Gingerbread Knight (who was known as headless until he appeared to complain about his gingerbread depictions), the Sad Indian (left behind by a traveling circus and never found the way back home), the Sad Nun (who was killed by her father for falling in love, and helps hopeless lovers when they need it), and the Large Lady of Kozí Square (whose curse was broken by a female cook after she put up with the raging ghost for three nights, hiding under a blanket) (see, blankets do repel ghosts!). Then there was the chilling legend of the Strange dream, in which a girl got to have a wedding with the ghost of her fiance, and that of the Gravedigger and the cards, in which three friends (two dead and one alive) got to play one last game of cards during the Black Plague. Another famous legend is the Shredded painting, in which a secret society gathered in a house every night through their portraits, leaving their bodies behind (one of their wives cut up a painting, and found her husband cut up back in his own bed). And let's not forget about all the stories of the Jewish ghetto! They deserve their own story collections (if you go to Prague, you can buy some). There are the legends of the famous Rabbi Löw, whose wisdom and miracles are legendary. In one, he made a machine that kept Death away from him (until Death disguised itself as a dewdrop inside a rose). In another, he talked to the spirits of children in the Jewish cemetery, and found the source of the Black Plague. 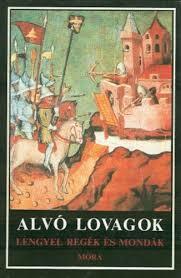 And, of course, there is no Prague story collection without the most famous Prague legend of all - that of the Golem! I once again encountered sleeping knights; this time, under the Vysehrad, waiting to be awakened by Libuše. They were mostly recruited by a water sprite who dragged swimmers underwater, and took them to the hidden army. 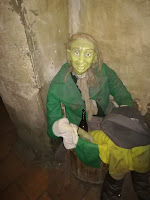 According to another legend, there is a secret crypt in the basement of a house in Konviktská Street, where vigilant corpses guard treasure meant for the next great Czech king. The tale of the Man who sold a dream was familiar from other cultures as well (here, the two dreamers met on Charles Bridge, and shared the found treasure. The story of the bear and the water-sprite was a variant of the famous Norwegian Cat of Dovrefjell. I also found an Oedipus-legend (The House of Death), a haughty countess who made shoes out of bread (and burned in hell for it), and even a story where the Devil helped with the construction of a church (but dropped a column, stolen from Rome, on the Vysehrad). Local tricksters were King Wenceslaus' court magician, Žito, and King George of Poděbrad's court jester Paleček. Doctor Faust also made an appearance, having his famous house on Charles Square, along with various other magicians and alchemists who moved into the same building later. 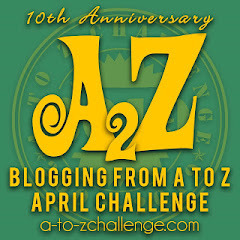 Today I continue the blog series titled Following folktales around the world! If you would like to know what the series is all about, you can find the introduction post here. You can find all posts in the series here, or you can follow the series on Facebook! This book contains 94 Polish legends, tales, and histories from various sources, ranging from folklore collections all the way to medieval chronicles. Jerzy Snopek, the editor of the volume, is a writer, translator, and literary historian - as well as Polish ambassador to Hungary since 2016. He divided the stories into chapters by theme: There are separate categories for historical legends, local legends, devil tales, sleeping knights, and folk beliefs. There is an introduction about Polish oral tradition, and at the end of the book each tale gets notes, complete with original sources. While some of the stories read like literary re-tellings, the book paints a detailed and unique picture of Polish tradition, including some remnants of their pre-Christian mythology. For Polish tales and legends in English, I recommend this book, or this one or this one. The story of Popiel was both terrifying and memorable. He was an awful king, tormenting people and poisoning his relatives - as punishment, his palace was overrun by a flood of mice that eventually devoured him and his evil wife alive. 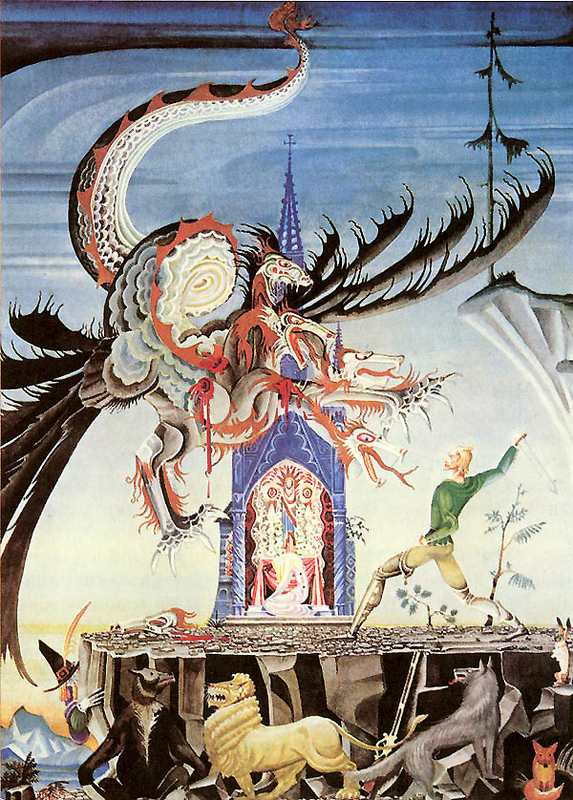 This story appeared in the book twice, in different variants; in one, he even built a glass dome underwater to get away from the mice, but they broke the dome and killed him anyway. Devil tales were especially fun because of their world view. Apparently, every nation, and every Polish city, has its own devil. 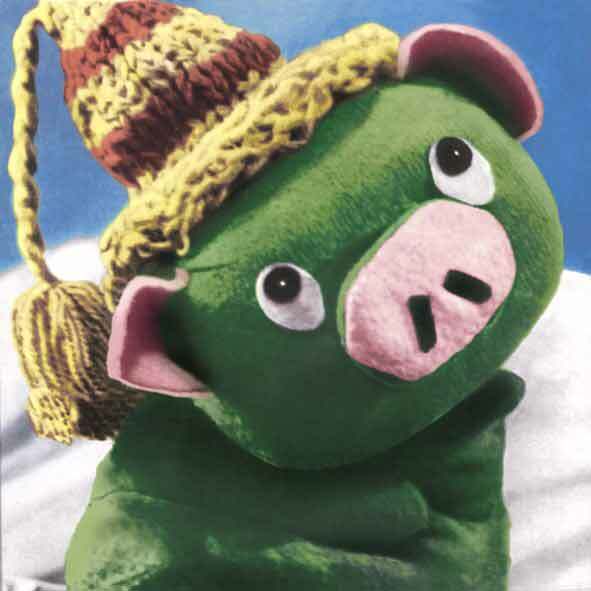 Among Polish devils, the most popular were the bear-like and clever Boruta, and his companion and sidekick Rokita. The latter did not fare well in most stories; in one, the Wide Woman (a.k.a. Virgin Mary) killed him with a lightning bolt. Whoa. 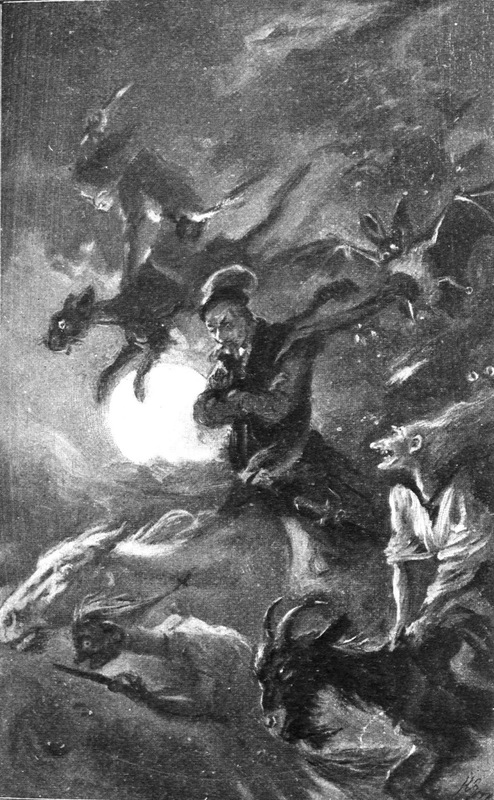 Among folk beliefs they listed werewolves, blood-sucking spirits, baby ghosts with wings and double teeth (sweet dreams), mermaids, and giants. The most interesting creature was definitely the Basilisk, which had to be hunted and killed with various tricks. My favorite was the one where someone had to enter the basilisk-infested building in an armor made of mirrors. 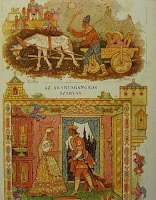 This book contains thirty elaborate fairy tales from the 19th century collections of author and folklorist Pavol Dobšinský. 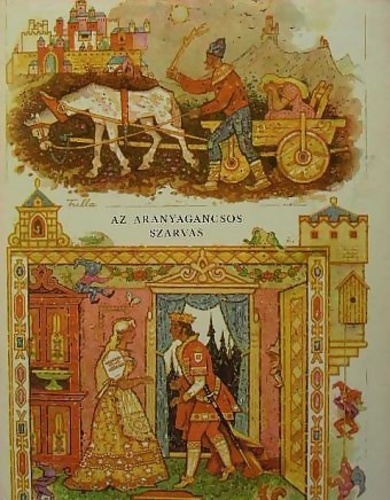 He published more than a hundred Slovak folktales over the course of the 19th century - and also edited them to fit better for young audiences, even though they were originally meant to be told to adults. This editing definitely shows on some of the texts: A prince "talks at" a sleeping princess, who becomes pregnant from it; a grateful dead companion "brandishes his sword" to scare the devil out of a princess, instead of cutting her in half. The language of the tales is also quite literary and elaborate, resembling Andersen more than a folklore collection. With that said, the stories were still very much enjoyable. If you want to read some of Dobšinský's collection in English, try this book. My favorite tale in the book was that of The black haired prince. It takes place in a kingdom where everyone and everything has black hair, except for the prince whose locks are raven black. The king tries all kinds of cures and treatments on him, but they don't work. The story is an Unfaithful Servant type, with betrayal and suffering and such, but of course all is well in the end, and the prince's hair turns red. After this my second favorite story was that of the Most beautiful couple, in which a witch, a male witch, the devil, a soldier, and two complete kingdoms worked on getting two beautiful people together. One of the most beautiful stories in the book is The King of Time. It resembles the Twelve Month Brothers greatly, except here after the poor man is rewarded and the rich punished, the King of Time keeps helping the poor man (along with the Kings of Water, Fire, and Wind), until he rescues his stolen wife. The prince born from an egg was another pretty fairy tale in which the hero defeated the Iron-nosed Witch with the help of his courage and his animal friends. 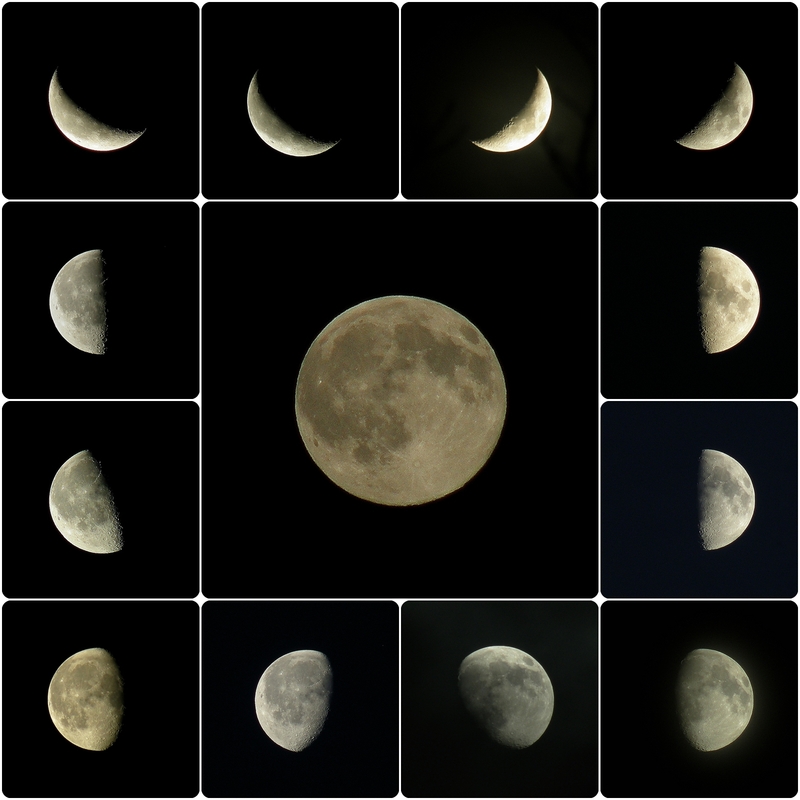 And while on the topic of helpers: In Beauty of the World, the hero was assisted by the Moon, who sacrificed himself multiple times, and had to be brought back from the dead. Jankó and Mackó was probably one of the best variants of the gold-spitting prince story I have ever found. Two brothers eat from the forbidden flesh of a magic bird, and gain magical powers. I liked that one of them, Jankó, became an artist, and fell in love with a princess while teaching her music and painting. I also liked that when they sent him to be devoured by a dragon, he made friends with it instead. Most of the stories in the book were of familiar types, but they all had something unique and unexpected in them. In The enchanted forest, the lions, bears, and wolves helping the twin heroes turned out to be princes themselves. In the Aladdin-variant of The snake, the cat, and the dog, the dog and the cat had to go ring-hunting with a hook tied to the cat's tail. In another variant, The magic lamp loved its owner so much that it left clues behind so that he could find the evil wizard who stole the lamp. 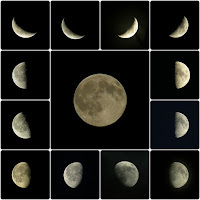 The three enchanted princes that helped another hero along turned out to be under a unique enchantment: They lived as beasts under the waning moon, and humans under the waxing moon (I like to imagine they changed shape in phases). The cat princess could be rescued from her own curse by listening to flute music until she cried three times. The golden-haired gardener in this case was a Heroic kitchen servant - with the extremely badass ability of being able to summon the armies of the King of Darkness to help him in battle. The story of Little Friday and the Warrior of the Plains is probably the best variant of the Grateful Dead tale type I have ever seen. It tells of the friendship of an orphan boy and a veteran soldier who comes back to life to help him. Other extraordinary helper tales included The cursed princess (very much like Longshanks, Girth, and Keen from Czechia), and The proud maiden and the dragon, in which three brothers with special powers rescued an "annoyingly screaming" princess. The "best story title" prize was won by Vratko and the Ferryman Dry All the Tears of the World (I can already see the indie movie poster). It was a kinder version of the Devil's three golden hairs. King Thrushbeard was King Redbeard here, and the Clever Maid was a Clever Wife. For the first time in the Slavic countries, I found a Fern Flower legend, too. 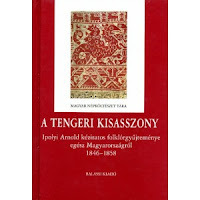 The collection of Ipolyi Arnold from the 19th century is one of the first, and largest, collections in the history of Hungarian folklore. Ipolyi's aim was to gather information from folktales, legends, beliefs and customs, and reconstruct out lost pre-Christian mythology. He published his massive work, Hungarian Mythology, based on these folk texts, but since the reception of it was mixed, he never actually published any of the hundreds of tales and legends he collected. Of course the 756 (!!) texts in this book were not all recorded by Ipolyi personally. He had a large network of collectors that wrote down and mailed him the stories from all corners of the country. The manuscript was finally edited and published in 2006, in a volume of more than 1000 pages. It is everything a storyteller or a folklorist could wish for. 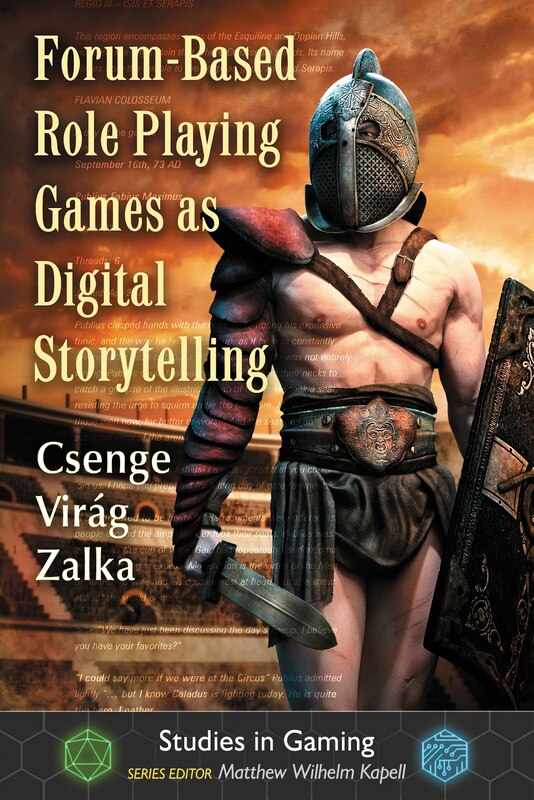 It has a long introduction, a bibliography, an index, a tale type index, plus each story comes with sources, notes, and the relevant paragraphs from Hungarian Mythology. It is not only an entertaining read, but also a rich mine of information on Hungarian storytelling and folklore. Also among fairy legends was the Fairy of the River Tisza, which did not only tell of an epic war between fairies and giants, but also about how a fairy helped a mortal woman save her husband. 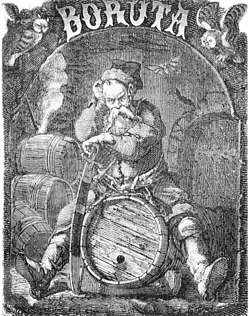 Said epic battles appeared in other tales as well, such as the one about Kóbor Jancsi (Jancsi the Wanderer). In one, the Flame-Red Fairy King used his own powers of fire to rescue his daughters from mortals. There were multiple legends about the desert Mirage (Délibáb), a fairy maiden who was loved by the Sun and the Wind, and occasionally a mortal shepherd (whom she took to her realm along with his sheep, which is why you can sometimes see people and sheep in the mirage). I liked the folktale of The old beggar and the kind boy, in which the hero was given the power of shapeshifting, and worked as messenger to a king (and eventually married a widow queen). In terms of the WTF factor, the most interesting tale was definitely the Louse-skin Coat, in which a boy escaped his abusive mother and made friends in the woods. His mother had louse as big as rats growing on her; when a king had a coat made from their skin, the boy was the only one who could correctly guess what the coat was made of, and thus win the princess (symbolism, people). The story of János, who was looking for the land of immortality, had an unusual ending. He was chased by the Yellow Death, but his fairy wife summoned up the Green Death, which killed the Yellow Death, and thus János got to live. This was not the only tale where Death died, either; in another one, titled Why we can't see Death anymore, he simply fell into a river and drowned. Yup. 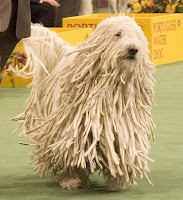 I enjoyed the story of the Tailor's Apprentice, who was helped and eventually rescued by a large, shaggy dog he feed from being chained up somewhere. The book contained a lot of folk beliefs and legends about witches, táltos, garabonciás wizards, and other beings and creatures. I really liked lidérc legends; lidérc is an evil spirit, usually in the form of a flaming chicken, that can bring its owner anything, but has to be constantly kept busy, or it takes your soul to hell... 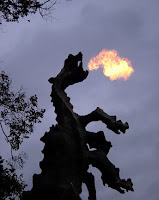 There was a great garabonciás story too, about a strange old man taming the dragons of a lake. 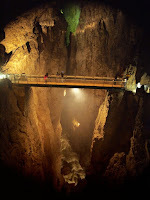 Among the legends, the best one was about János the Faithful, where a goatherd was trapped in a cursed underground castle, while his daughter was helped by her stepfather (!) to marry the man she loved (with help of the gold sent by her trapped father from the castle). 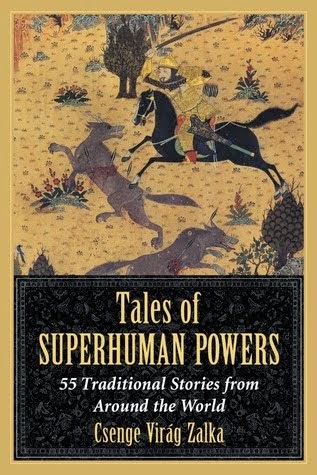 The book has a lot of tales that belong to familiar folktale types; the nearly 800 texts nicely outline which stories were the most popular at the time of their collection. Classics such as the Twin princes, the Golden-haired children, Son of the White Horse, Stolen golden apples, Golden-haired gardener, Princess in the shroud, Dancing Princesses, etc. were all very common. Some were more unusual than others - Beauty and the Beast usually featured a Green Pig (as the Beast, obviously), and Snow White was not only hosted by Twelve robber giants, but she also eventually married one of them, after they revived her. 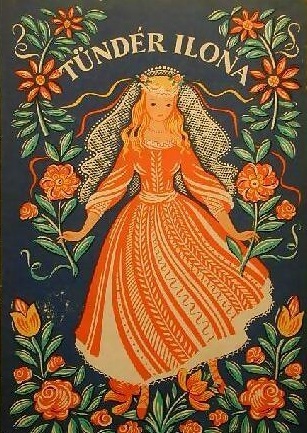 There were countless versions of the Three Oranges tale. Some fairy maidens were born from reeds, eggs, apples, or oranges, while others came from cantaloupes or even griffin eggs. 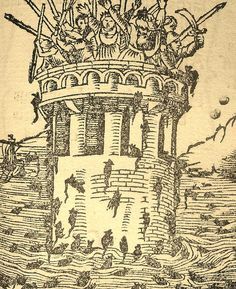 Of course there was a Hungarian staple, the Bacon Castle, as introduction to the tale type of the Three Kidnapped Princesses; one of these tales ended with the hero being flown up from the Underworld by an ostrich. Another popular type was the Treasures of the Giant, where brothers or sisters set out, survived an encounter with something evil, and then kept sending the youngest girl/boy back to steal more things. In one case, it was about one hundred sisters... I also found some variants of the Koschei the Deathless tale; the best one was titled The Black Eagle King. The story of the Clever master was familiar from the 1001 Nights; it's the tale where someone dies accidentally, and someone makes money from passing the body around town, tricking people into thinking they killed it. The story simply titled Fairy legend, on the other hand, was a Queen Fairy Ilona variant of northern Selkie stories (with a fairy dress instead of a seal skin). I have mentioned my dear Danielle Bellone on this blog before multiple times - she even guest blogged here once. I met her in the ETSU Storytelling program, where she wrote her thesis on "new trad" (new traditional) storytelling. She has been doing performances and teaching workshops on the topic ever since, and this year, we finally found a way to invite her to Hungary! Her trip was supported by the US Embassy in Budapest, and her events were an official part of the 2018 programming of Budapest Pride. Next to the Pride programs, the embassy also took her as guest speaker to other venues (such as a girls' leadership camp). It had been a long time dream of mine to bring Danielle, and her unique style of storytelling, to Hungary, and it was amazing to see it become reality. Danielle presented her workshop at the 2018 FEST conference in Ljubljana (I blogged about this earlier), and then spent a week in Budapest, full of events and adventures. 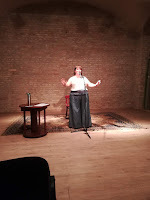 On the 4th of July she performed her one-hour storytelling show titled Pulse and Other Queer Heartbeats on a theater stage, as part of the Pride event series. It was a gorgeous, gorgeous performance. She told "new trad" tales like Soli and Panna (a creation myth featuring two goddesses) and Omar and Wendell (a tale about a hero who has to battle anxiety before he battles the dragon); re-told traditional stories such as a poetic Cinderella, a tragic Daphne and Aeola, and a beautiful, vivid Lindworm; she sang, she soared, she enchanted us all. I have heard these stories many times before, but I can't get enough of them. I love Danielle's eloquence, and the care she has for choosing the right words to paint the most colorful images in the listener's mind. Hungarian audiences were lucky to get to hear her. On Saturday (incidentally, the morning of the Budapest Pride parade) Danielle presented a three-hour workshop for people who were interested in delving deeper into "new trad" storytelling. Just to recap: "New trad" stories are built from the elements of traditional stories (motifs, tropes, symbols, structures of folktales and myths), created for oral telling, passed along freely into the public domain, and they usually fill gaps in tradition that older folktales did not talk about. Apart from the obvious (LGBTQ+ identities and experiences), participants in the workshop had a whole lot of other ideas as well, about what gaps we should address; the list grew long, and contained topics such as "female friendship," "older heroes," "alternative family models," and "climate change." We also discussed the concepts of cultural appropriation, representation, and the fact that folktales have many layers, and why representation of diverse characters is important even though on deeper psychological levels tales operate as symbols of the self. Both events had a moderate audience, but a whole lot of overwhelming enthusiasm from those who did show up. I was extremely happy to begin spreading the word about "new trad" storytelling, and starting conversations among Hungarian tellers about how tradition can live on and change, while still honoring the stories of old. The week flew by in a flurry of excitement, adventures, and stories. I hope everyone else also had a lovely Pride month! 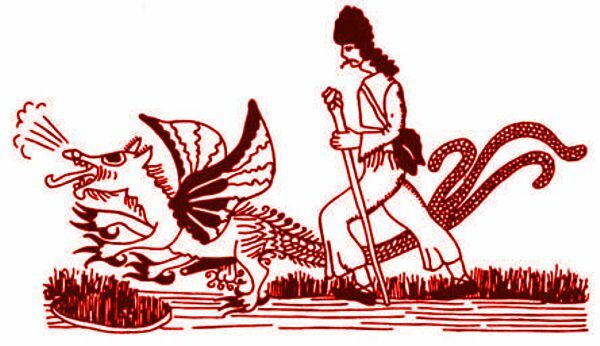 Of Dragons and Theaters: FEST Storytelling Conference, 2018. It has been three years since I was elected to be a member of the Executive Committee of FEST - which means that this year's conference was also officially my last as an EC member. It has been wild and challenging work, and it could not have ended on a better note than the 2018 FEST conference in Ljubljana, Slovenia. This year's conference was organized and hosted by Storytelling Variety, and had two main themes: Tradition (especially storytelling tradition in the Balkans), and Performance Art. More than 100 storytellers attended the conference from 24 different countries (including faraway places like the USA and Canada), representing 50 members organizations of FEST. Our Slovenian hosts did an excellent job making us feel welcome, and providing a varied lineup of lectures, workshops, and events. The conference began on Thursday, with an all-day-long General Assembly. Unlike previous years, when the GA had been shoved into the last day of the conference, this year we decided to get the hard work out of the way first - and it was a good decision! We had a whole day to report, discuss, debate, and vote on important issues. While there were some heated debates occasionally, and sometimes we got very close to voting on whether we should vote on voting (democracy is a glorious mess), the day went by with useful work, and in the evening, we could all reward ourselves for getting the hardest part done. 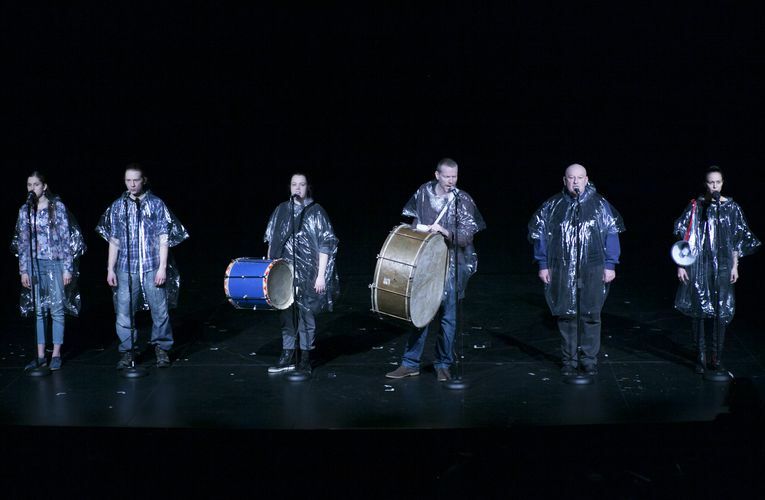 On the evening of the first day, after dinner, we were treated to a storytelling performance titled I, Anarchist by Damir Avdić, a Bosnian musician, and Erik Valenčič, a Slovenian war reporter, who created this performance specifically for us. Erik told us stories about his time in South Sudan, and how he dealt with the surreality of a budding bureaucracy while drinking copious amounts of alcohol. Damir, rocking out on an electric guitar, told us stories about the time he lived in the USA, and how he encountered ironic situations of race and culture. My favorite story of the whole night was him telling us how he visited an anarchist bookshop in America - where he was told that he has to pay tax on the books he bought. The irony just snowballed from there, and we were all laughing our asses off at his delivery. It was definitely a memorable performance. Friday was spent on the theme of traditions. In the morning, we went to the Puppet Theater building by the castle, and listened to some excellent lectures. Boštjan Narat, leader of the folk-music-based band Katalena, gave a talk on engaging with tradition in a creative way, pointing out that "kitsch stems from understanding the past as something dead." Špela Frlic, one of our Slovenian storytellers told us about contemporary storytelling in the Balkans, about festivals, conferences, and events that happen around Slovenia, Croatia, Bulgaria, Serbia, and Bosnia. She was also responsible for inviting a lot of storytellers from these countries to this year's conference, so that we had a chance to mingle and talk. The third, and most amazing, lecture of the day was delivered by Serbian anthropologist Svetlana Slapšak, a woman full of knowledge, sarcasm, and feminism, on the topic of gender relations in storytelling traditions in the Balkans. 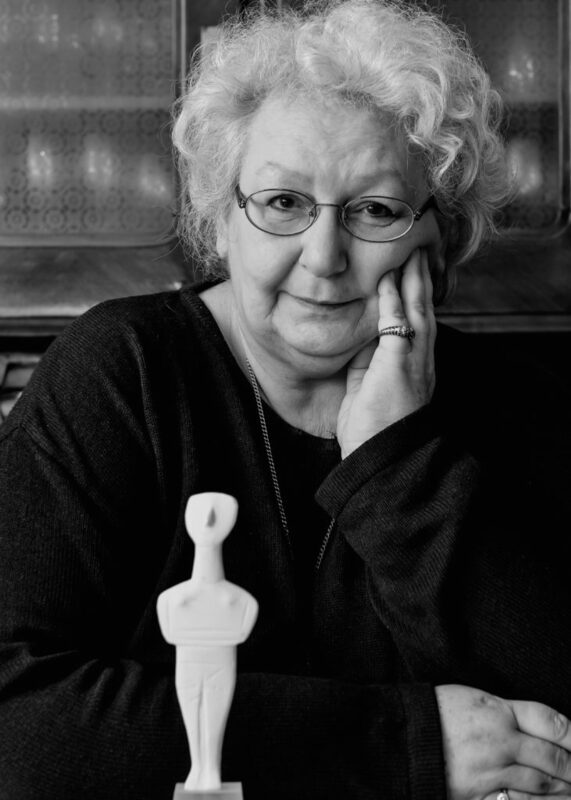 She spoke to us for two hours about female tale-singers, female travelers and collectors, Serbian epics, Greek mythology, sexism in folklore research, and other fascinating topics. Among many things, she pointed out that female tale-singers and tellers have been unduly ignored by academic research. I could have listened to her for several hours more. Friday afternoon we had several workshops on topics related to tradition - among them, my friend Danielle Bellone's workshop on "new trad" storytelling. As for me, I ran a Story Swap in one of the empty rooms for people who felt like telling and listening to stories from each other (since this year's conference was not attached to a festival). On Friday, we had ten participants, and they all got a chance to tell - that means then stories, songs, and lots of fun! From what I gathered from other people, all the workshops went splendidly as well. 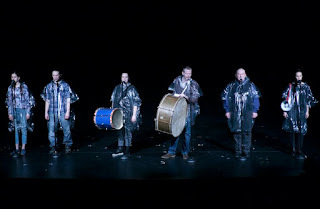 Friday evening also contained a performance: We watched a show titled The Man Who Watched the World in Mladinsko Theater. It is a collection of shorter scenes based on powerful and touching personal stories that deal with problems in our world (such as pollution, sweat shops, sexism, refugee crises, etc.). The connecting concept of the show is that the apocalypse is not something that will suddenly happen in the future - but rather something that is happening little by little right now. 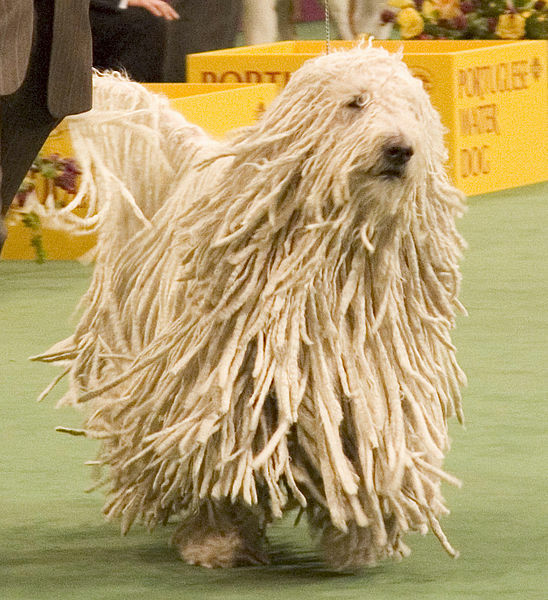 It was a thought-provoking, extremely well done show. Our organizers reached their goal with it: On the way home, storytellers were having intense discussions about whether or not we had just seen storytelling, story theater, or something totally different. It was good to have something so thought-provoking incorporated into the conference program. Saturday was all about storytelling as a performing art. Once again, we had a morning full of lectures. Ana Duša told us about various theater ventures that combined personal stories and storytelling with stage performance in order to make a point, or explore social problems. 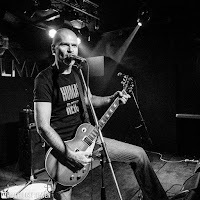 Our French guest Yves Marc delivered a great presentation, peppered with demonstrations, on how the body sends different messages through posture, pace, stance, and place on the stage. He encouraged us all to be more aware of the messages we send, or could send, with our bodies during storytelling. Hester Tammes told us about "storytelling theater" in the Netherlands - which is not, as we learned, the same as a theater using storytelling practices. Storytelling theater is based on unscripted storytelling, direction is used to forge it into one performance but not to limit the tellers, and it maintains the interaction with the audience. The last lecture was by Zala Dobovšek, who told us about the use of stage storytelling for various goals, such as therapy and community building. 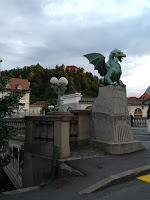 During the lunch break, some of us went up to Ljubljana castle to wander around. It was absolutely worth it. The castle is really well renovated, full of exciting spaces and exhibits - and on top of all of that, they just opened an exhibit on Dragons! We got to take pictures inside a dragon egg, read about the history and folklore of dragons, solve alchemy riddles to open a secret safe, and find out about the origins of Ljubljana castle. 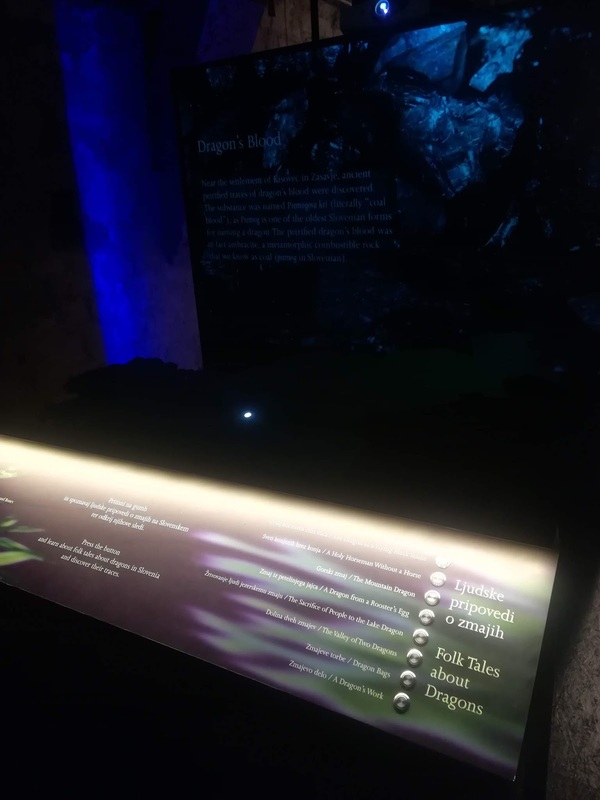 The highlight of the exhibit was by far the interactive screen that, at a push of a button, told us 15 Slovenian folktales about dragons, and lit up their places of origin on a map. We spent a lot of time in front of that screen... (Incidentally, I just blogged about Slovenian folktales this week). Saturday afternoon we had another round of workshops. I ran a second Story Swap, this time with even more people, and some really fun stories. At the end of the afternoon session, we all walked to Kodeljevo Castle to have a picnic dinner, some tasty wine, and then a concert of the band Katalena! At the first notes of music, storytellers jumped up and began dancing. We partied late into the night to Slovenian folk-rock music, and when the rain began to pour, we danced on until we were all soaked and exhausted. It was a perfect ending to a really great conference. Next year, we are going to the Euregio! Netherlands, Belgium, and Germany hosting together. The theme will be Tricky Borders. Bring your own tricksters! 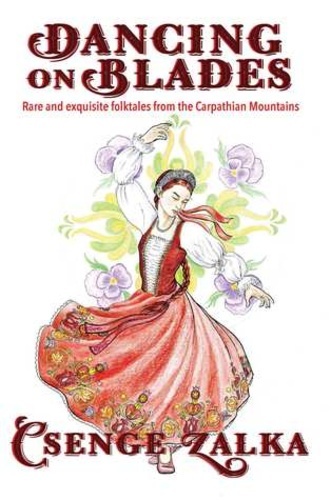 This book contains 54 Slovenian folktales. It is a children's book, which means it has no introduction or notes, just black and white illustrations. From the text on the back cover I learned that it contains both stories from Slovenia, and tales from the Slovenian minority in Hungary, but doesn't say which ones. Still, it is a great selection of stories. Next to beautiful fairy tales and classic types, it also contains beliefs and legends, and doesn't try to make them more child friendly than folktales usually are. You can find Slovenian folktales in English here, here, here, and here. If I had to pick a favorite tale from the book, it would be difficult to choose between The magic tree and Tale about a frog. The former features a hero that climbs a sky-high tree, and rescues no fewer than 18 princesses with the help of his friend the Wind. The latter is about a clever and kind countess, who promises a frog she'll be nurse to her children, not knowing that the frog is the Devil's wife. The young lady is spirited away to Hell, where she cares for the brood of little frogs lovingly until she is helped by their mother in her escape. All the best tales in the book featured journeys to magical realms. 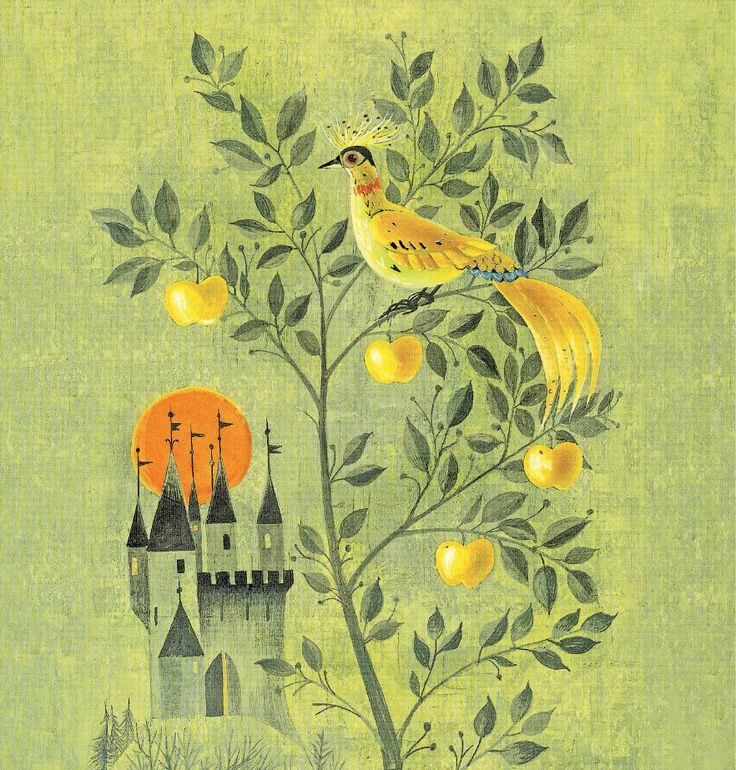 In The healing apples, princes had to bring an apple from an enchanted garden, but only the youngest could withstand the radiance and overwhelming scent of the garden. In The stepson and the South Wind, a boy was pushed into the Underworld by his stepmother, where he disenchanted a kingdom turned to stone, and married a princess. Eventually he got homesick and returned to the mortal world - only to find that decades had passed. Luckily, in this tale the South Wind helped the hero find his way home before his wife got married again. In another, very similar story titled The son of the fisherman, it was also the Wind that helped the boy find the magical underwater kingdom of Perdonkorten, and his snake-turned-princess wife. And while on the topic of underworld realms: The prize goes to the "underworld tavern turned to stone" where Marko the Shepherd lives, and also takes his princess wife (after testing that she can keep a secret). The Sun's lover was a strange, surreal tale about a mortal girl whom the Sun abducted (with a golden swing), and when he failed to make her a good wife, he turned her into a swallow. On the other hand, the story of the Water spirit and the boy told about a mortal child who was saved from drowning by a water-man, who tried to make him happy with treasures, but soon learned that family was dearer to the boy than any gold. He then returned the child to his family, and set out to find a family of his own. Fairies of Fate (or Fates) appeared in several stories, and so did regular fairies. 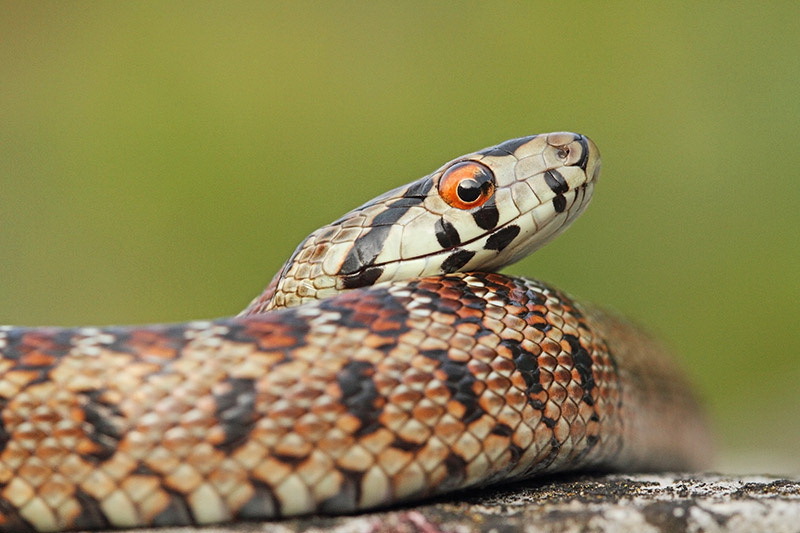 There were also many tales featuring snakes, snake kings, snake princesses, and snake fairies. Just... lots of snakes in general. I also liked the folk legend about how one can get a magic herb from a woodpecker, and sewing that herb into one's finger enables them to open any door, and become a master thief. There was a Tale about death, in which we did not only learnt hat imprisoning death is wrong, but it also ended with the culprit being punished by never being able to die. Innocent love also closely resembled Godfather Death, but in this case a young man saved his lover's life by pouring some of the oil from his life-lamp into hers. It seems like "why old people are not killed anymore" is a very popular type in the Balkans. I found yet another variant, in this one the old father taught his son that The most beautiful flower is wheat. 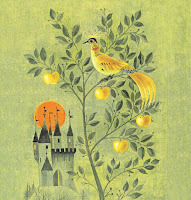 The tale of The Golden Bird resembled Russian folktales, except here the hero was helped by a bear, instead of a wolf or a fox. The magic bag was a variant of Fortunatus, where the magic-object-stealing princess was not only taught a lesson, but also left alone at the end. From other Balkan countries the tale of a girl stolen by a villain and rescued by her late-born little brother was also familiar. Here, the Water-man or water-spirit of the mill represented evil, instead of a dragon or a giant. I also found a Hungarian connection int he form of a legend about King Mátyás (Matthias), who appears as a legendary Sleeping King in Slovenian folklore. Of course there were many common tale types too, such as the Clever Maid, Love like Salt, Frog Princess (here with a cat, who turns into a snake and then a princess), the devil's golden hairs (The hated son-in-law), Puss in Boots (the Grateful Rooster), and even Princess and the Pea, except here the Three peas were used to prove the nobility of the groom, not the bride.